There are different types of fats and not all are created equal. 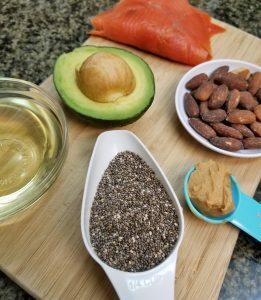 Here are 2 fats that we want more of in our diets: Polyunsaturated Fatty Acids (PUFA) and Monounsaturated Fatty Acids (MUFA). Both are healthy types of fats which are shown to support heart health and lower cholesterol levels. MUFAs are high in vitamin E which is necessary for a strong immune system and healthy vision. PUFAs include omega-3 and omega-6 fats. Our bodies do not make these essential fats, so we can only get them through food. These omega-3s and 6s are needed for cell growth and brain function. 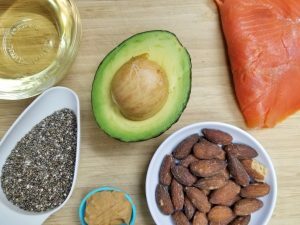 Here are the 7 Healthiest Fats. 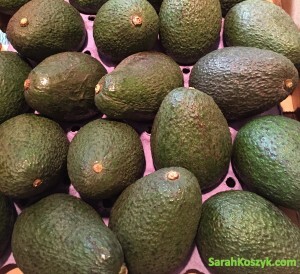 Avocados contain much more than just monounsaturated fat. They contain folate, fiber, vitamin C, and potassium. They increase HDL cholesterol (good cholesterol) and decrease LDL cholesterol (bad cholesterol). Avocados will pair well with almost any food; use ¼-½ of an avocado on salads, omelets, and sandwiches. Add avocados into a smoothie. Peanut butter is rich in monounsaturated fats, protein, vitamins, minerals, and fiber. Natural peanut butter with no added hydrogenated fats and sugar is the best way to go. 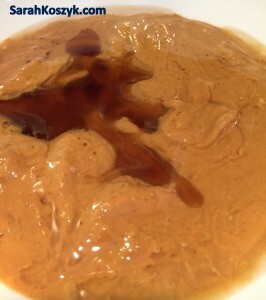 (TIP: the fat from natural peanut butter will separate; simply stir it to mix it back in). Use peanut butter as a spread on toast, celery, apples, or carrots. Extra virgin olive oil is packed with MUFAs, and has a modest amount of vitamins E and K. It is also high in antioxidants which reduces the risk of cancer. Drizzle extra virgin olive oil as a salad dressing, dip your bread into extra virgin olive oil mixed with balsamic vinegar. (TIP: extra virgin olive oil has a low smoke point and should not be used for cooking at high heat). Flaxseeds contain omega-3 fatty acid which improves heart health. They also have lignans which have antioxidant qualities and fiber, which help controls blood sugar and lowers cholesterol. Sprinkle ground flaxseeds onto baked goods, cereals, oatmeal, yogurt, and cottage cheese. (TIP: buy ground flaxseed, as your body cannot breakdown whole flaxseeds to access the omega-3s inside them). Walnuts are a good source of fiber, protein, vitamins, and minerals. 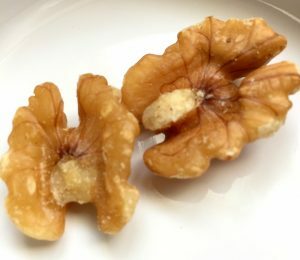 Considered as “brain food,” the omega-3s that walnuts have support and promote brain function. Add chopped walnuts to a salad, yogurt, a smoothie, or oatmeal. Salmon is an excellent source of omega-3s, vitamin A, vitamin D, and selenium. These nutrients together can help prevent Alzheimer’s disease and symptoms of Parkinson’s. 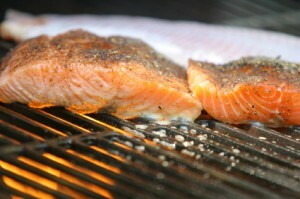 Dietary recommendations suggest that salmon should be included in meals at least twice per week. One serving of salmon is 4-6oz per meal. Enjoy a salmon sandwich or salmon salad. 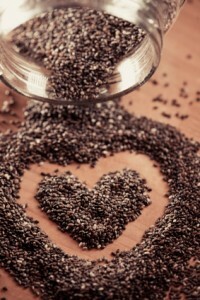 Chia seeds are a great source of omega-3s, protein, and fiber. Loaded with antioxidants, chia seeds are definitely a superfood. Soak chia seeds in coconut milk and enjoy chia seed pudding for dessert or add to your smoothie.